Image by timlewisnm (used by permission via Creative Commons). Good to be with you. The topic for today, the Gospel reading, and the other readings, have to do with forgiveness. So the Gospel reading is dealing with the most profound concept of the Christian faith. And reading it only of the Christian faith, but many thinkers, in observance of other religions, and even those thinking in terms of human relationships, have thought about this, this Gospel theme: forgiveness. I checked the Internet, trying to get some background material, and there are hundreds of books written over the ages, in the Christian community. From scholars, to common saints, to the old fathers, and the new thinkers. So, forgiveness, without a doubt, in the Scripture, is a pillar of the Christian conduct and faith. And in our literature, when you listen to it, we refer to forgiveness in many ways. In our confession of sins, the absolution to forgive, and to be forgiven. In the Lord’s Prayer. In our confessional decreed. We say we believe in the forgiveness of sins, and the life everlasting. So, how do I begin to deal with this enormous subject? So my answer is, “Let’s just look at the Gospel reading,” because there are so many things to learn, and particularly, to apply. So, after having discussed who is the greatest among the disciples in this chapter, Christ rebuked his disciples. And the danger of falling into a temptation, of sin, and hearing the parable of the lost sheep … that stupid sheep, that just got lost … and the teaching about how to deal with a sinner in the church. If he or she doesn’t repent, we kick ’em out. And there are startling passages about the issues of our weaknesses and sins. Peter comes up with a pertinent question. Question of enormous interest. And rightly so. Peter says, “Lord, how often should I forgive my brother, when he sins against me? As many as seven times.” Now, Peter, when we read this text, first implies that he is dealing with my brother. Which, for him … maybe not everybody, but more likely, considering that acceptable in his life. His friends. His family. His relatives. His neighborhood. And then, secondly, maybe more important, he says forgiveness must have a limit. Even when he’s questioned, he implies the number of fullness. Number seven. In other words, “there comes a time when we ought to stop forgiving,” he says. Doesn’t work that way. And before we condemn Peter, it is about where I stand as a human being. First, why should I forgive total strangers who transgressed against me? Broke into my computer, and stole my identity? And secondly, I acknowledge that there comes a time when forgiving seven times, if I, myself, got that far … forgiveness seems not to work, and I should be less kind, and patient, and accuse. And get back, even. In other words, Peter says, “There’s a limit to forgiveness, is there not?” And Jesus said to him a most profound statement: “I do say, seven times, but 70 times seven.” The short answer that he gives is profound. As it pertains to forgiving, Christ says, to Peter and to me, to us, not seven times, but 490 times. Which, of course, is a figure of speech. “All the time, Peter!” It’s addressed to the follower of Christ. Your life must be characterized by forgiveness. It’s your lifestyle. It’s part of your system. It’s part of the way you think. It’s the part of the way you relate to other people. So what Christ implies is that he embodies forgiveness to a point totally removed from a human sphere. When Peter thinks that seven is about the limit, God, in the person of Christ, forgives and forgives and forgives. And I could 490 times, and the sermon would be very long. Implied is that God forgives in a way that seems impossible, or unreasonable, or impossible to us. And this is His short answer. The long answer is in a parable. “Therefore,” he says, “the Kingdom of Heaven may be compared to a king, who wished to settle accounts with his servants.” Peter, and I’ll fill out my own name, Ted, or Doug, Dorothy, your name. Lemme tell you a parable. That implies it’s a riddle of life, a peculiarity, a surprise to ponder. First, the issue of forgiveness lies at the core of life for whoever claims to walk in the Kingdom of God. The interesting part of this parable is that it’s addressed to Peter, and not to the crowd. It’s a parable that is to us. It’s to Peter. It’s to the faithful, struggling disciple. It’s not to the crowd, it’s to me. So, first, the issue of forgiveness lies at the core of my life, since I claim to be a participant and a citizen in the Kingdom of God. It’s not the common character of the kingdoms of men, of power, even those we consider great, or want to be great. Forgiveness in your world, Peter, at best, is limited or more true. In your world, in my world, it’s seldom to be found. Your world, Peter, and my world is a world much more inclined to revenge, threat and violence. That’s the world we live in. To forgive does not come naturally to humanity. Indeed, a formula of 70 times seven goes back to Genesis 4, used by the tyrant Lameth the tyrant, who spurns God’s graces dealing with Cain. And declares that he himself will use the avenue of revenge, and violence, and excessive retaliation, to deal with who offends him. There, in Genesis 4, he arrogantly says, “If Cain is avenged by God seven times, I will avenge myself times seven … I will avenge myself seven times 70.” And he puts himself up as a god, with a small G. That is the world without God. And it sounds much more like our world deals with those who offend us. 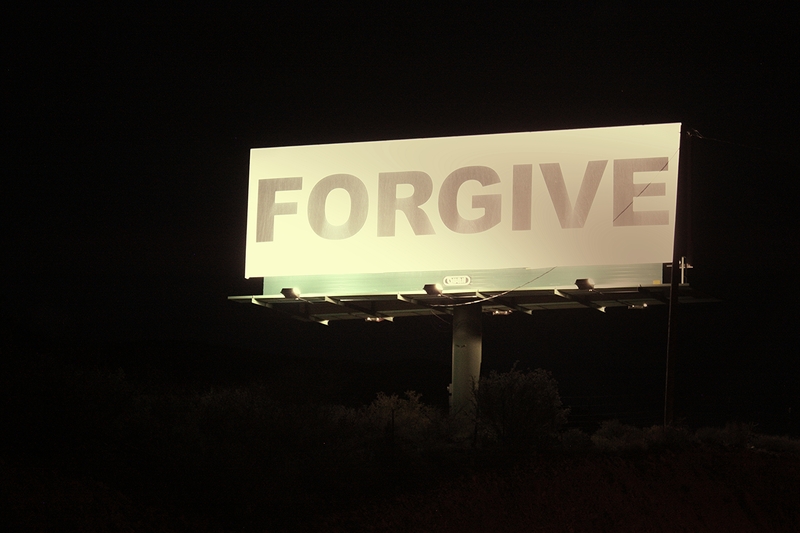 The issue of forgiveness is then further expounded by our Lord, in the parable. There was a rich and powerful ruler, a king with many subjects and servants, which, as the story implies, are all in debt to the master. One servant comes into the scene. And he owes the king 10,000 silver or gold talents, which is a great fortune. In fact, we don’t even know how much it is. The commentaries say, between five and $10 million, but it might be even more. Again implied is the foolish behavior of this servant, as he had no thought for his wife and children, who became innocent victims of his irresponsible behavior. So that’s the man, owing 10,000 talents. The shock to this servant is severe in the text. And he had never had done something that he does now. He falls on his knees. You can imagine this man. And asked for some way out. His suggestion is, “Have patience with me. I’ll pay you everything.” Keep in mind, he’s owing $10 million that he doesn’t have. His suggestion doesn’t make sense. There’s no way for him to repay. That’s all of us without God in our lives, without that impossible gift of forgiveness, because by now, you know, forgiveness is not coming from us. It has to come from God. Let’s pause for a moment. Now, obviously, the parable is for Peter. And it’s really struck me, time and time again, that these parables are not for the masses, this parable is for me. For you. And we seek to follow Christ. It’s a parable for Christians. The king is God. The Trinity, they’re allied to the Father, in particular. And though Christ, of course, is the one who forgives. “Bind him in chains!” And all we tend to say is, “Have patience. Give me some more time. I’ll pay you back.” In other words, as we are, in fact, morally, totally helpless, we begin to see, and say, that we can help ourselves. Promising things which we can never fulfill. Well, the parable continues, wit a turn of events that startles us. The king perceived the utter emptiness of the plea of this servant. He sees his helplessness, that he does not admit. He sees, perhaps, his wife and children, who are now to be sold as slaves. And for no other reason, God, the king, has pity on this man. Has pity on somebody with 10,000 talents on debt, who is hurting his family in this society. And he lay, pratfalls on the ground, and though he himself doesn’t ask for pity, the striking thing in this parable is that God gives him pity. And out of pity, the text says, “The master of that servant releases him, and forgave him the debt.” And so, please know that there is no request for pity and mercy on the part of the wicked servant. And the parable should stop here, with a happy ending, that it cannot have, because he’s a scoundrel. He doesn’t understand. The act of forgiveness, freely bestowed, has become, in reality, a test, by which God tests the truthfulness of the disciples. The very giving of mercy shall become a test. And this particular fellow will fail. The parable shifts, therefore, from the king, to the servant. To briefly summarize, he confronts of servant, of lower rank, who’s indebted for him, to him, for a small sum of money: 100 [dineri 00:13:31], which is about $10. Can you see the awkwardness of this whole story? He, the forgiven servant, now demands and even physically attacks the poor servant. The text emphasizes the harshness and the disrespect that he has for his fellow man. The text says, “and seizing him,” he begins to choke him. And said, “Pay what you owe!” And, in turn, the poor servant says the same thing that was uttered before: “Have patience with me. Give me some time, and I’ll repay you.” But now, it is a reasonable response. For the debt is only 10 bucks. He can fix that. Though he should have asked for mercy, too. In this case, a reasonable response. Instead, and this is climactic, the brutal servant throws the man in jail, demanding him to pay. Obviously, he cannot work, while in jail. And he deliberately is placed in a hopeless situation. Not by his own doing, but by the wicked servant’s doing. The wicked servant is none other than a bully. That’s what he is. He has no pity. This story, of course, goes on. There’s no pity and mercy in the forgiveness of the king. And there is not only mercy and pity and forgiveness in the Kingdom of God, there is also justice. This ugly episode is relayed to the king by sympathizers of the poor servant. He has friends. And the king now becomes the judge. The punishment of the wicked servant is the punishment demanded from the poor servant. The text says, “The master summoned him, and said to him, ‘You wicked servant, I forgave you all the debts, because you pleaded with me. And should not you have had mercy on your fellow servant, as I had mercy on you? '” Which is at the heart of this parable. And the king, none other than God, to whom all vengeance belongs, throws him into a jail, with the impossible condition to pay 10,000 talents. And mercy has turned to justified anger. And the king, our Lord, is the one who now demands retribution. For only God can do so. And the Lord the ends the parable like this: “So, also, my Heavenly Father, will do to every one of you, if you do not forgive your brother, from your heart.” Which is a really stark statement. When we think about the forgiveness, when I think about forgiveness, it is with joy, and thanksgiving, and relief, and praise. Don’t we praise God, for being forgiven? But here, in contrast, is a sober summation by our Lord, which should make us ponder. The test of truly being forgiven is a life that forgives others. In short, the question Peter asked is answered with profound simplicity. Peter, Ted, Doug, or whatever your name is, if you have been forgiven in the past, and if you have been forgiven now, and if you’ll be forgiven tomorrow, in other words, God’s attitude towards me is constant forgiveness. Not just one, but 490 times, so to speak. I was forgiven today, and I’d done something wrong, from the pulpit, even. God has a forgiving spirit to me. We’re in the wisdom text of James 2:13, one of our favorite texts in our family: “For judgment is without mercy, to one who has shown no mercy.” Mercy comes before just judgment. It has helped our family tremendous. That one phrase, that we hung on the wall: “For judgment is without mercy, to one who has shown no mercy. Mercy triumphs over judgment.” And that is the character of a living church, and a living Christian, in this text. You know, to forgive is divine. It is not human. Wherever forgiveness is truly practiced, there is peace. It’s always the work of the Holy Spirit, whether it is recognized, or not. Whether it happens in the church, with a brother or sister, or done in the wider world. I want to conclude my talk with a story. Can I? It’s a story from a book about forgiveness, that I try to just get myself into it. It’s a story about a famous book, called The Brothers Karamazov, by Dostoevsky. And in his book, it is quoted, but I just re-read that book, not too long ago. And this is how the story ends. In The Brothers Karamazov, Fyodor Dostoevsky tells a story about an old peasant woman, very wicked, who died without leaving a single good deed behind her. All she did, she did only for herself, illicitly taking what she should, could take, and acquiring by legitimate means what she could acquire, but never giving anyone, anything to anyone. As soon as she said that, the onion broke, and the woman fell into the Lake of Fire, where she’s burning till this day. So the angel wept. And went away. May God help us to be forgiving. For it is not human, it is divine. Amen.